During a season of transition following the loss of the greatest player in VCU history in Eric Maynor as well as the loss of one of the hottest young names in college coaching in Anthony Grant, the Rams have managed to put to rebuild with a 25-win season to this point. They will have a chance at two more in the CBI championships approaching next week in Coach Shaka Smart's first season at the helm. While Ram fans were hoping for a repeat NCAA appearance with surefire NBA first-rounder Larry Sanders leading the way, inconsistencies on the road ultimately were the Rams undoing. The Rams faltered with 7 losses in the conference slate after having a combined 9 over the last 3 seasons prior to this one. 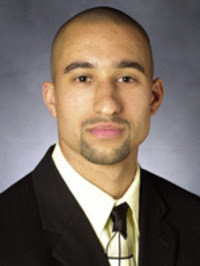 32-year old VCU Head Coach Shaka Smart has gone 25-9 with a trip to the CBI finals in his first year. While there is some cause for disappointment, the Rams are looking at the CBI as an opportunity to grow as a team and gain experience for freshman such as Darius Theus and Troy Daniels, as well as opportunities for players like Jamie Skeen who will be expected to step up in the absence of Larry Sanders next year. With Larry Sanders leaving early for the NBA, another year of adjustment is only to be expected, especially on the defensive end where Larry was a defensive stalwart (not to mention 2-time Defensive POY). However there is cause for optimism with strong senior leadership and a stellar recruiting class for first-year Rams’ coach Shaka Smart. Here is my breakdown of Smart's impressive recruiting haul and VCU’s version of Michigan’s ‘Fab Five’ (minus the violations of course). I will start with each recruit and do as comprehensive an overview as I can; one post per recruit. Reco McCarter headlines the 2010 class and will be the first write-up coming shortly!